The insulated extra long wrap covers the front leg from knee to ankle. Includes 6 re-freezable inserts. 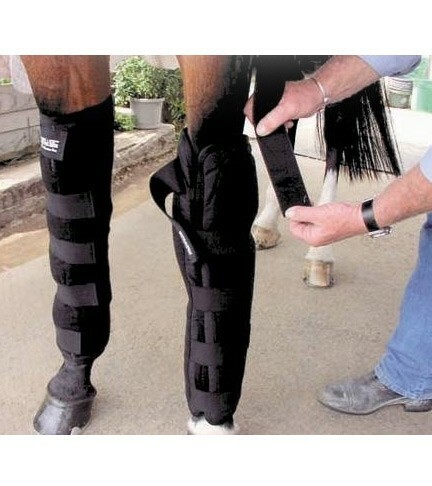 Also includes adjustable suspender which goes over the withers and attaches to each side of the knee to ankle wrap to prevent slippage.